AUSTIN, Texas, Sept. 14, 2018 /PRNewswire/ — The recent acquisition of Howdy Honda by Texas-based John Eagle Dealerships only means good things for the Austin community. With more than 30 years of service in Central Texas, Howdy Honda will remain a customer-focused staple, with the same friendly staff and personal commitment to ensure that every customer visiting the dealership will be treated warmly. With a growing presence throughout the state of Texas – the most recent being Hill Country Honda in San Antonio — the John Eagle Dealerships continue to expand smartly. 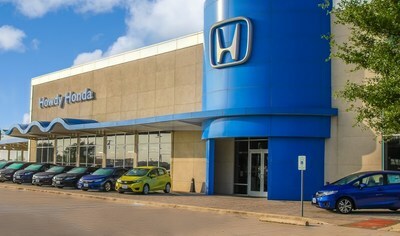 The group now owns Honda dealerships in Dallas, Rockwall, Katy, Houston, League City and Austin. As such, they will effectively become the number one retailer of Honda’s in Texas. Curtis Salter, a 36-year automotive industry veteran, will provide day-to-day direction as the new General Manager. Salter is returning to his Howdy roots where he once worked with and for retiring General Manager, Cliff Collier. “I’m excited to carry on the legacy that Cliff and the employees of Howdy Honda have established,” Salter said. Howdy Honda’s received the Honda President’s Award 11 times for overall dealership excellence. Under the new management, the dealership will continue to focus on customers, employees and their experiences. The dealership will also extend its focus on the greater good via an environmentally friendly focus. The dealership currently utilizes more than 700 solar panels that help to significantly reduce the stores carbon footprint and overall energy consumption. Already a leader in the category, the dealership will continue to stay on the leading edge of Honda’s environmental initiatives. John Eagle Dealerships are known for excellence in sales and service with a legacy of satisfied customers. Founded in 1962 and now representing six different vehicle brands and twelve dealerships, the John Eagle group is one of the top privately held automotive groups in the nation. The addition of Howdy Honda strengthens the company’s ongoing commitment to excellence. Customers can visit Howdy Honda at 5519 E. Ben White Blvd., Austin, TX 78741. Additional details about the dealership can be found on their website or on their social media pages.